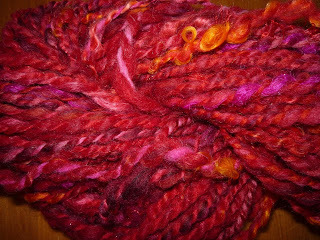 That inspiring title was a result of this skein of handspun yarn. 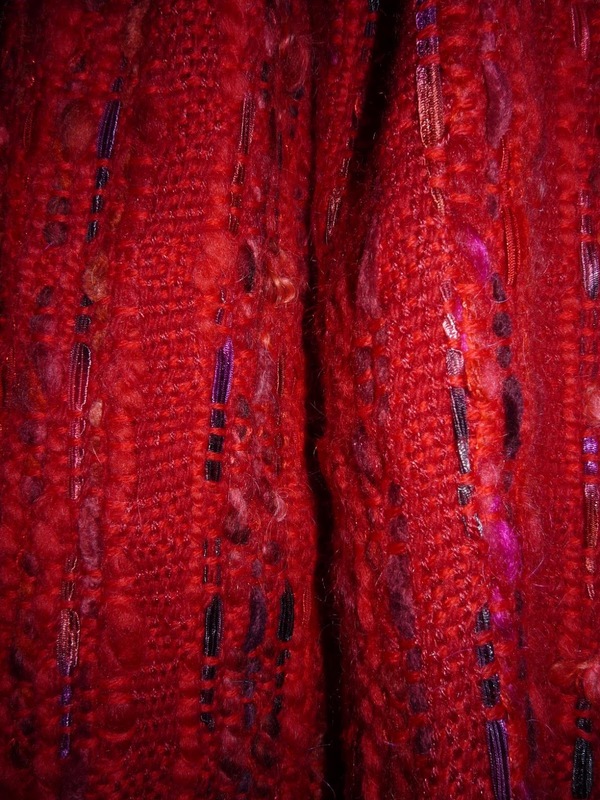 As you can see it ranges in tones from deep red through hot pink with flashes of orange. 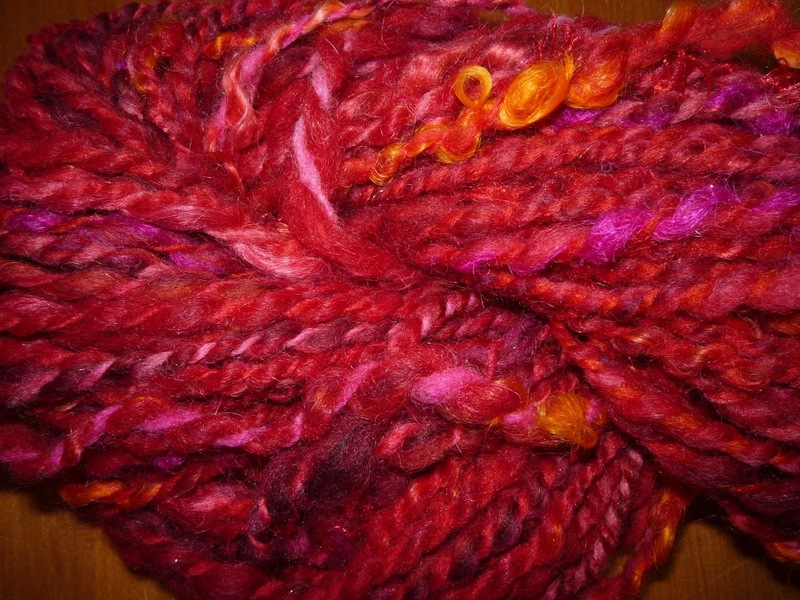 I think it was spun after a workshop with Tracey White of Inspired Fibres quite some time ago. 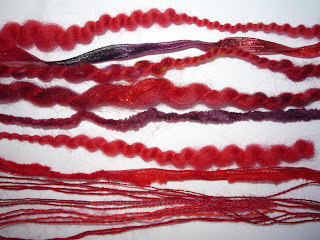 There wasn't much, about twelve threads of warp length so I combined it with other textured yarns, ribbon, velour, thick and thin. 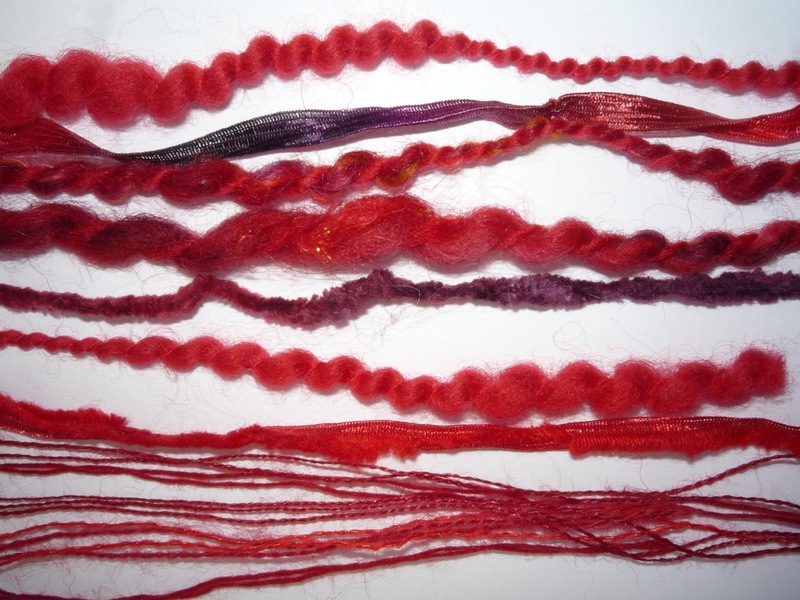 The fine background threads are angora, alpaca/silk and wool. as seen in this close up. 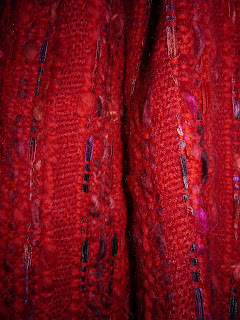 Very soft and interesting to wear. 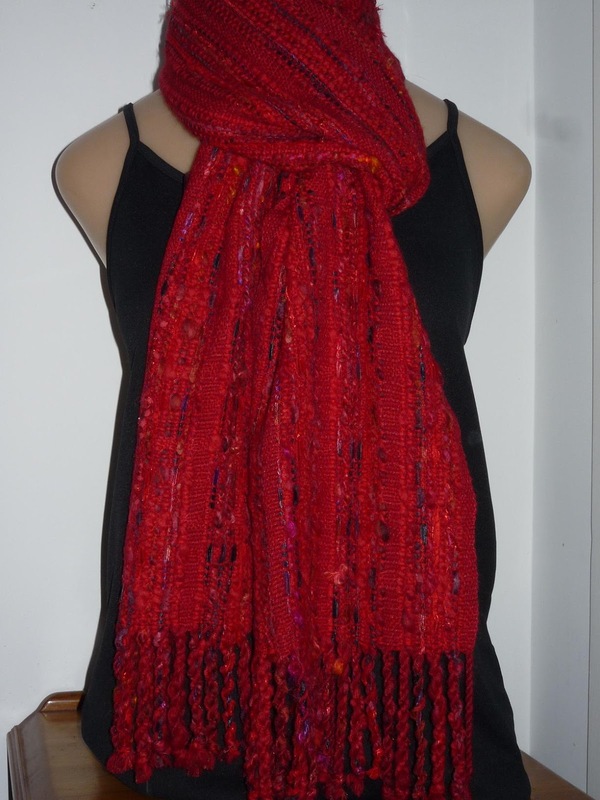 That is a very lovely red scarf! I bet it feels yummy. Well done. Its really nice to go back to basics and just weave. And I emptied a couple of small cones so a win there. It looks lovely especially the way the texture shines through.